I read somewhere recently that the best trail to run on is the one that you are currently on. That sort of stuck with me. Sara and I live in Ontario, Canada (between Toronto, Montreal and Ottawa) and always pore over the great pictures in Trail Runner and check out all the great websites and blogs showing amazing running trails. Trail running in the west has us drooling to the point that we are planning a holiday to Colorado, just to run a whack of trails in the mountains and get a bit of a fix. I guess wherever you live, you could tend to get a little bored with the same old routes. We actually are pretty fortunate here. Right out our door we have a one mile dirt road “warm up” before we hook up with a whole network of trails to choose from. We have a 104 km section of rail trail, lots of great single-track, ATV trails, jeep roads, and a huge network of snowmobile trails. Not only that, but we also live a very short drive from some of the best trail running in all of Ontario. 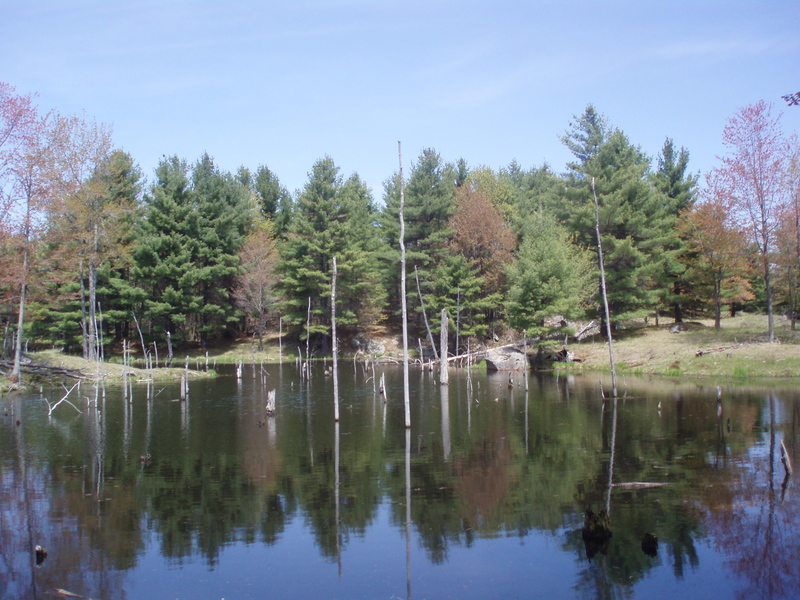 Frontenac Provincial Park features over 160km of beautiful single-track through rugged Canadian Shield. 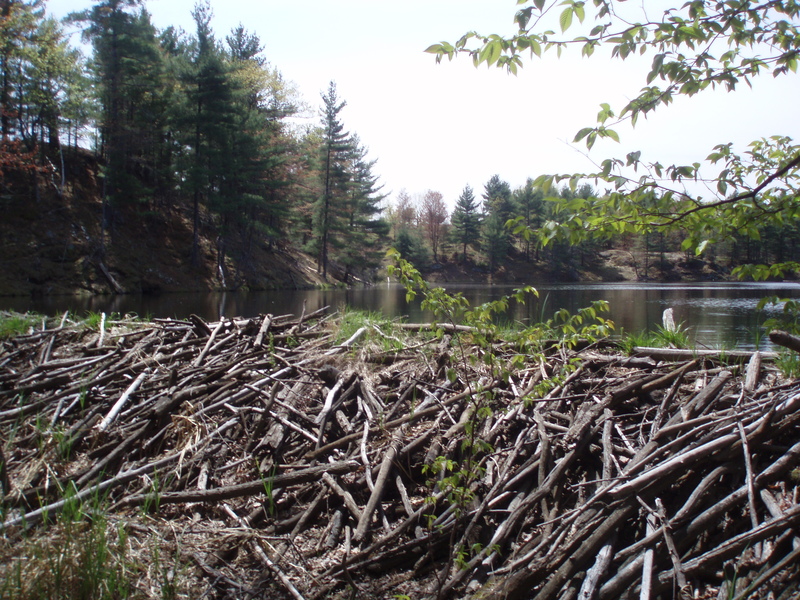 From pine needle covered trails, to open meadows, to technical, rocky sections and beaver dams, the trails are constantly rolling as they wind around the clear blue lakes. 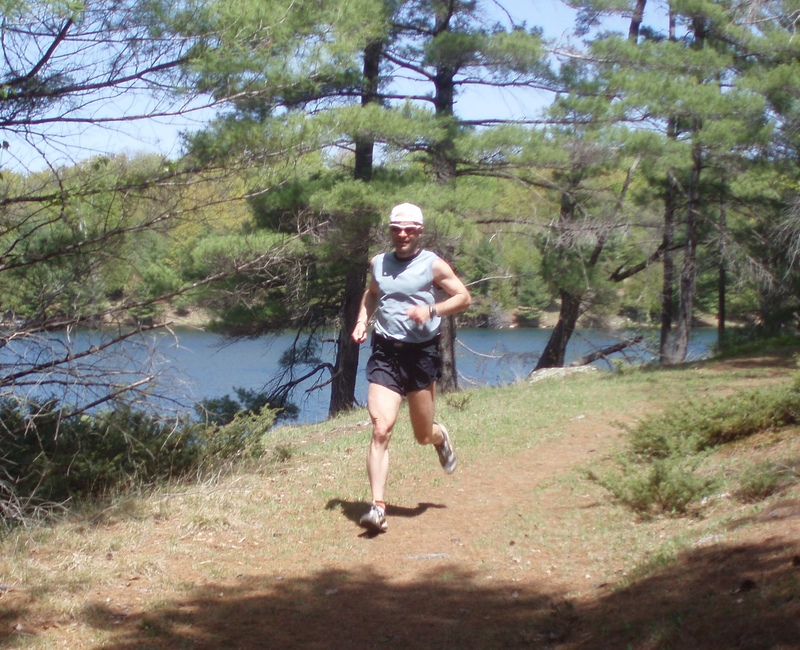 We affectionately refer to Frontenac as ‘our park’ as it was where we had our first date…a 30km trail run. The other great thing about Frontenac Park is that you can go for hours and very rarely see other people. However, there is a good chance that you will see some wildlife. We have seen numerous deer, as well as foxes, wolves, coyotes, porcupines, raccoons, beavers, blue herons and even the occasional black bear. Here are a few photos from our long run this weekend. We’re not sure we can make any Colorado trail runners jealous with our trails, but if you ever get sick of your same old routes through the same jaw-dropping mountain scenes, you can always plan a trip here! This entry was posted on May 12, 2008 at 4:55 pm and is filed under News. You can follow any responses to this entry through the RSS 2.0 feed. You can leave a response, or trackback from your own site.